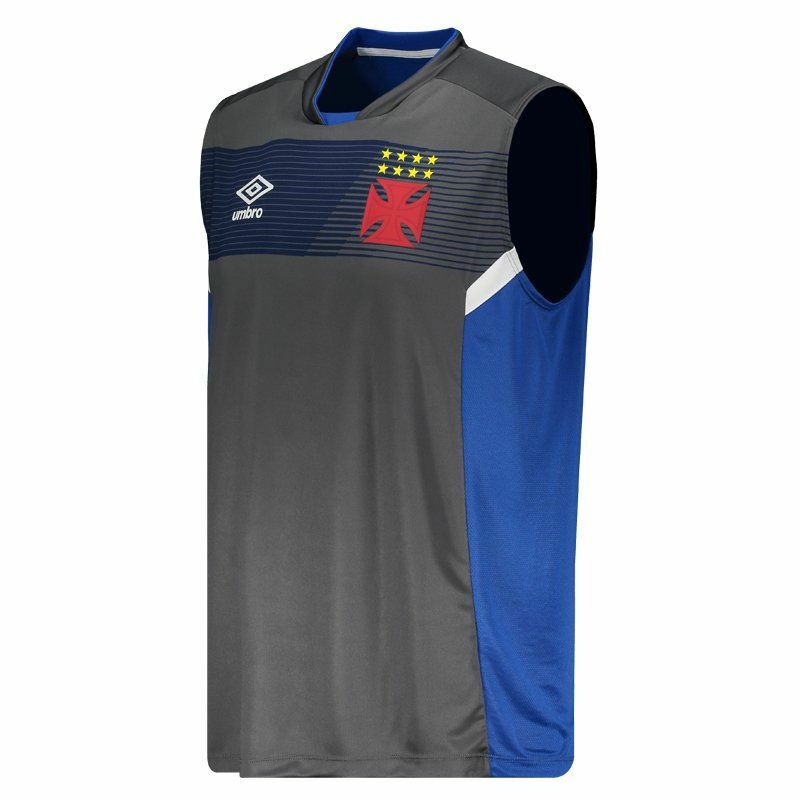 Produced by Umbro, the Vasco training jersey for 2017 is a great option for fans of the team to use in games, sports and day to day. The piece is made of lightweight polyester with breathable mesh fabrics, providing maximum comfort. More info. 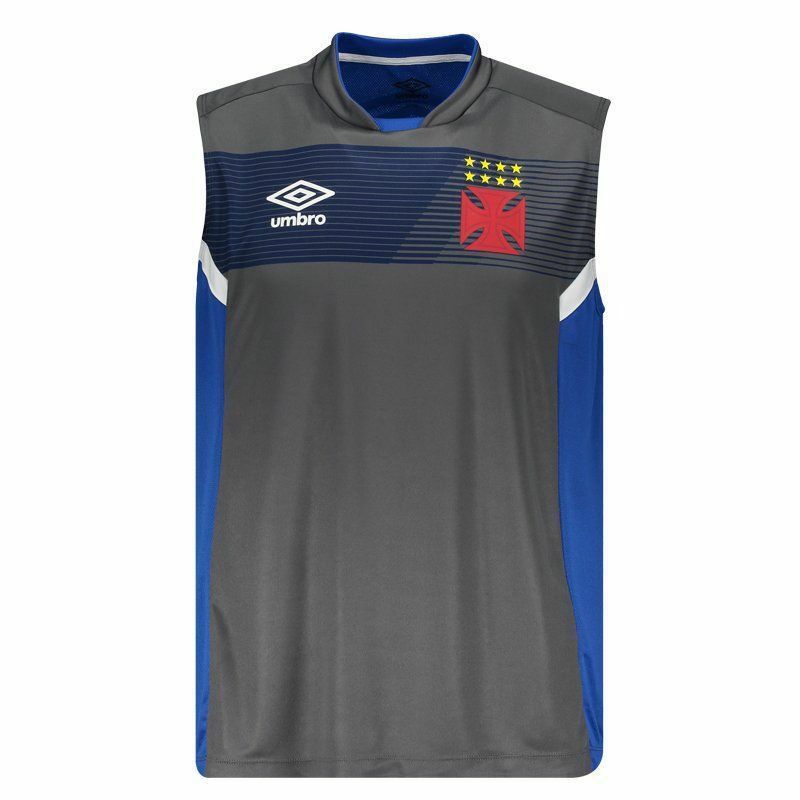 Produced by Umbro, the Vasco training jersey for 2017 is a great option for fans of the team to use in games, sports and day to day. The piece is made of lightweight polyester with breathable mesh fabrics, providing maximum comfort. 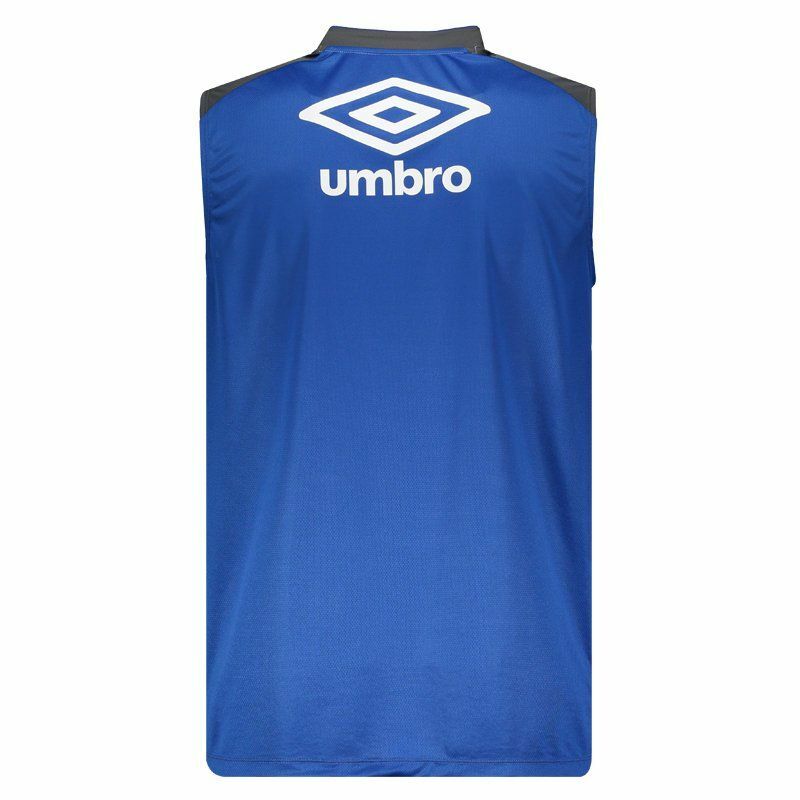 Its design is predominantly graphite with parts in royal blue and white details. 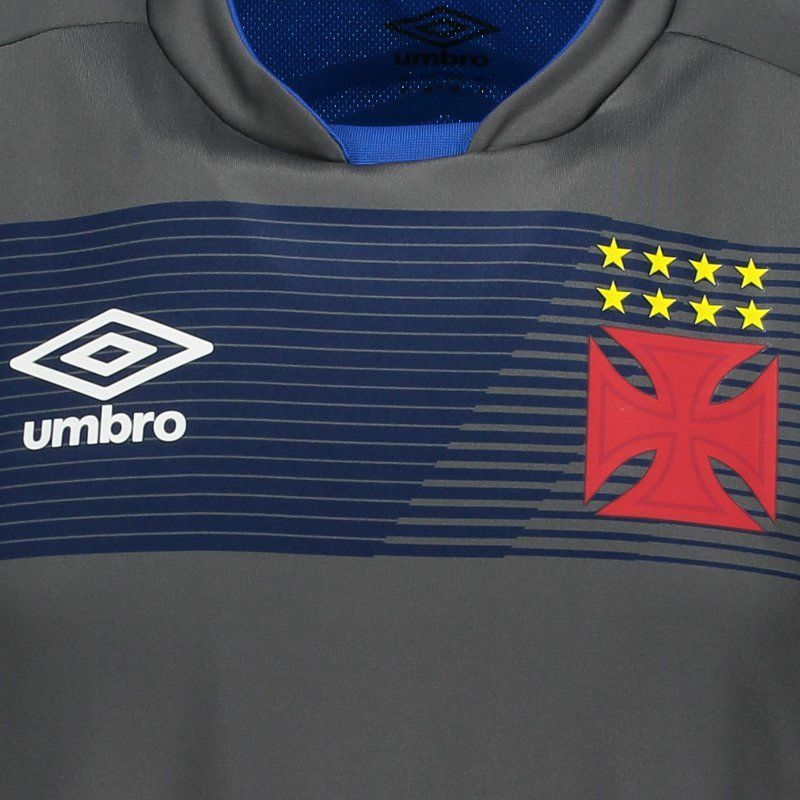 There is also the club badge and the brand logo featured on the chest. The crew collar has a special cut and, finally, the sleveless shirt offers name and number customization.